Salvation And Survival: Is The Five-Fold Ministry For Everyone? Is The Five-Fold Ministry For Everyone? Perhaps God has placed Mark and I on these 2.97 acres in the middle of nowhere so that He could train us up while we were not distracted by what is going on in the world -- both in the secular and religious worlds. He has pulled us out of the Church building and established a growing ministry that is centered on Jesus's commission to His disciples to spread the Gospel of the Kingdom. For us, that has included physical healing, inner healing, deliverance from spiritual torment, evangelizing, teaching, and simply being obedient towards every opportunity to share the love of God through Jesus. In many ways, it began as a narrow calling, but as we trusted God more and He saw the fruit being produced, our assignments have expanded, along with our territory. And I would say we have been blessed with a growing community of Believers who are each walking in their own calling and obedience. But that is also where I have some growing concerns; both in what I see on the large stage of the Christian experience and closer to home. Perhaps we have been secluded enough that we were not aware of this "movement", if I may call it that. But as our mission field and interaction with the Body of Christ has grown beyond our immediate community, I am seeing a profusion of Christians referring to themselves with one of the titles of the five-fold ministry mentioned in Ephesians 4:11. The modern Church refers to these ministries as "offices" within the Body of Christ, and maintains their importance in building up the Body of Christ in unity and maturity. On that we can agree! And so that we know what the Bible says, here are the verses that are the foundation of the Five-fold Ministry: "And He [Jesus] gave the apostles, the prophets, the evangelists, the shepherds [pastors], and teachers, to equip the saints for the work of ministry, for building up the body of Christ, until we all attain to the unity of the faith and of the knowledge of the Son of God, to mature manhood, to the measure of the stature of the fullness of Christ, so that we may no longer be children, tossed to and fro by the waves and carried about by every wind of doctrine, by human cunning, by craftiness in deceitful schemes. Rather, speaking the truth in love, we are to grow up in every way into Him who is the head, into Christ, from whom the whole body, joined and held together by every joint with which it is equipped, when each part is working properly, makes the body grow so that it builds itself up in love" (Ephesians 4:11-16, English Standard Version). Here is my concern... I have become increasingly aware of a Christian belief system that implies that each and every Christian is to walk in one of these "titles"; that each and every Christian has been called to be either an apostle, a prophet, an evangelist, a pastor, or a teacher. But that is not what I see Scripture saying! In fact, if you read various translations, I believe you will get a more accurate sense of what the Word is saying ... The New Living Translation says these offices were the gifts Jesus gave to the Church. The Amplified Versions says His gifts were varied and Jesus, Himself, appointed some as apostles, some as prophets, some as evangelists, some as pastors, and some as teachers. The Passion Translation takes it a step further and says Jesus appointed some with grace to these offices. And the purpose of these appointments or callings? To equip the saints for the work of ministry; to build up the body of Christ in unity of faith, in knowledge of Jesus, to spiritual maturity so that we might grow into the very image of Christ, which is love. Nowhere do I discern in that passage that each and every Christian is to walk in one of those offices or carry one of those titles. Yet there are websites that proclaim that "within each of the saints, we find the various manifestations of the Apostle, Prophet, Evangelist, Pastor, and Teacher within the Body of Christ. Each person is given a gift, a role, and a part of the Body to continue the work of Christ". That certainly appears to me to be stretching the truth of the Word. And these websites even offer tests to find out which office you are! And there are websites that will actually confer a certificate that you can hang on your wall to validate your "office". I am in no way disputing that these offices have been assigned by Christ to build up the Body of Christ [and for the reasons I have stated above]. The Five-fold Ministry is absolutely validated by Scripture. But these are assignments given by Christ to SOME [with grace/favor]. Simply put, there must be men and women whom Christ trusts with the important calling/commission to equip the saints (who are believers sanctified -- or set apart -- unto God) to grow into a unified Body that imitates Him. These verses make it very clear that these five callings are to equip the saints -- perfecting them, preparing them to walk in the fullness of Christ's image on earth. So, it's obvious [to me, at least] that not everyone can be called to one of these offices.... because there would be no saints left to equip! And I do not think that we should dismiss the part that bearing fruit for the Kingdom plays in the execution of these offices. 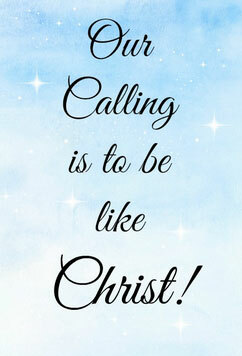 Fruit should be evident in the life of one who calls himself an Apostle or Prophet or Evangelist or Pastor or Teacher. We all know people in the faith who walk at high levels of obedience. We see the fruit in their lives; the unselfish commitment to the Kingdom of God in all that they do. I think it is safe to say that their fruit is the real certification of whether they deserve a title within the Five-fold Ministry. 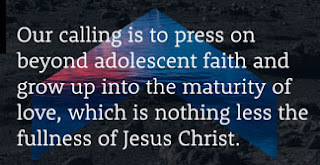 I believe it is very important to understand that although we may not all receive the gift of a commission from Christ to walk in one of these offices, it does not mean that we cannot commit to do the work as we grow in our spiritual maturity into the fullness of Christ. Put another way, Christ may not have called me to be an Apostle, but I can take the message of the Kingdom of God to people in need of it. I may not walk in the office of Prophet, but I can prophesy of God's heart to those who are hurting. I may not be commissioned by Christ to be an Evangelist, but I can be a carrier of God's goodness and love to the unsaved. I may not carry the title of Pastor, but I can bring healing and restoration to the souls and spirits of the broken-hearted through my deliverance ministry. And I may not have been assigned the role of Teacher, but I can share God's Truth and show how it applies to a person's life. In other words, we can all be ambassadors for Christ; we can all prophesy; we can all evangelize; we can all pastor, and we can all teach. We don't need official titles, or certificates, or tests to determine our roles. We are all meant to grow into the image of Christ. And, yes, there are those who will receive unique assignments to lead and equip us saints to minister as they do. But let's not get caught up in the need of a title to validate our position in Christ or give us permission to do the work we've all been called to do. We are each valuable in the Kingdom of God!